"The material on the companion discs presents a portal to the time of the recording of Led Zeppelin, " says Page. "It is a selection of work in progress with rough mixes, backing tracks, alternate versions, and new material recorded at the time." Following the whirlwind success of their first two albums and near constant touring, Page and Plant took to the now famous Bron-Yr-Aur cottage in Wales in 1970 to start the early composition of Led Zeppelin III. They later convened with Bonham and Jones for rehearsals before entering London s Olympic Studios to begin recording in May 1970. Fueled by classic tracks such as "Immigrant Song" and "Since I ve Been Loving You, " the album soared to the top of charts worldwide upon its release in October of 1970 and has since been certified 6x platinum. 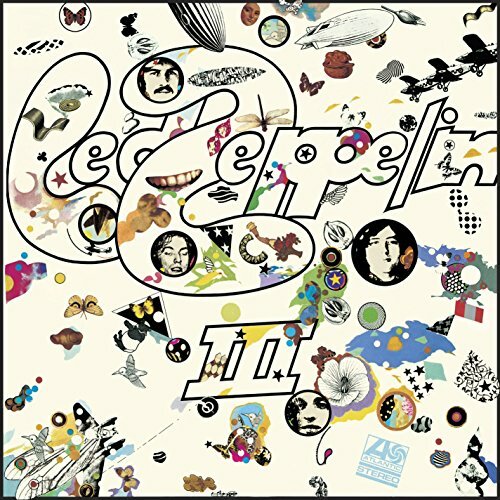 The nine tracks featured on Led Zeppelin III s companion audio continue to offer a window into the band s recording process with seven studio outtakes of songs from the album as well as three previously unheard compositions: "Jennings Farm Blues" (an instrumental forerunner of "Bron-Yr-Aur Stomp"), "Bathroom Sound" (an instrumental version of "Out On The Tiles"), and their take on the blues classics "Keys To The Highway/Trouble In Mind. "